Its unique and space-saving design, you can now make your installation as clean and professional as possible. 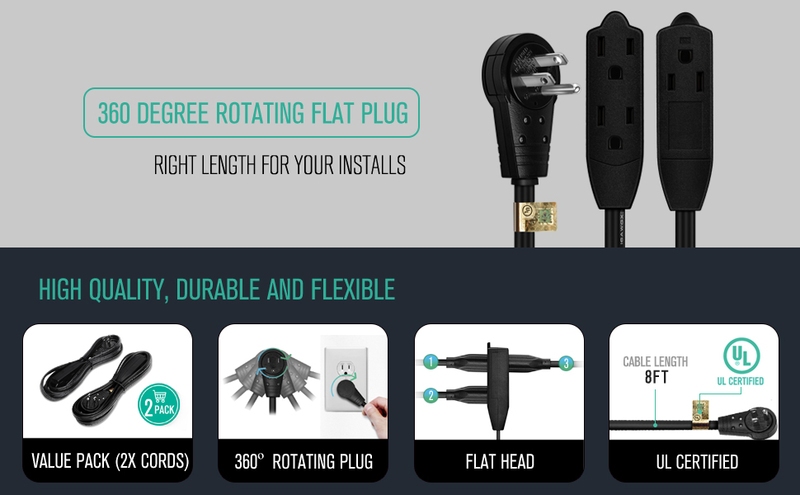 This Extension Cord has a 360° rotating flat plug to ensure the cable is pointed in the right direction without making unnecessary turns. Yes, the prongs rotate in the plug which is really awesome! It’s ideal for installing a flat panel TV on a wall, or placing a desk or piece of furniture close to a wall. The Nekteck Extension Cord is UL Certified which means it has been tested to ensure the cord has passed safety requirements. 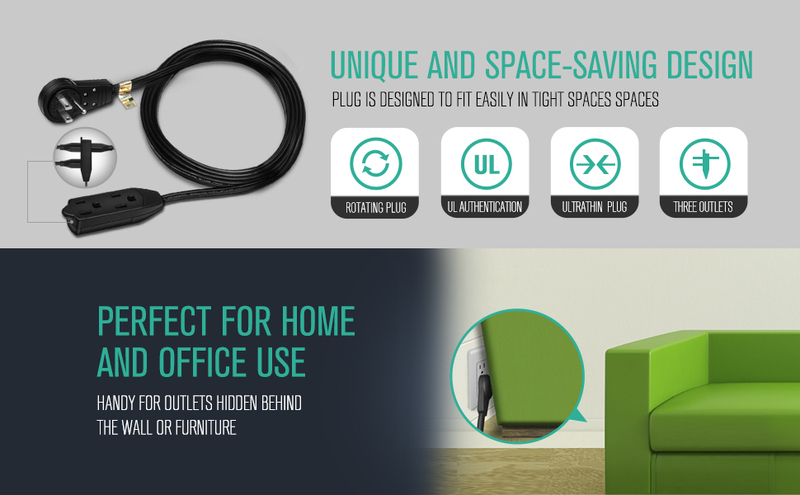 Lay it flat behind couches, TV units, tables, and desks, for a handy, durable power supply! UL listed adheres to industry standards for safety.